There is a butter shortage in Europe that has seen prices soar by 300% without speculators. The problem can be traced to the end of milk-production quotas in April 2015 directed by the EU that led to a glut early last year in Europe. Centralized planning just never gets it right. Setting regulations requiring the production of butter is just something politicians are never good at. Once the quotas were eliminated, the artificial prices dropped drastically and then farmers stopped producing. Now with the collapse in production, a shortage took place and then prices have soared. The timing was rather special because, on a global perspective, milk product exporters were curbing their own output in the United States and stopped selling abroad. The higher domestic demand was sparked by New Zealand, the world’s biggest dairy exporter, had experienced lower production due to droughts. 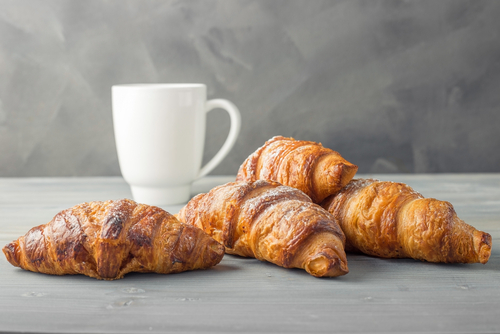 The French like their croissants that require butter. The French stores have refused to pay three times more for butter so even the French farmers have been selling to the rest of Europe. France has gone into a massive butter shortage by at least 30% of the demand cannot be met.